Congratulations to our design challenge winners! These were chosen from 1,668 entries. 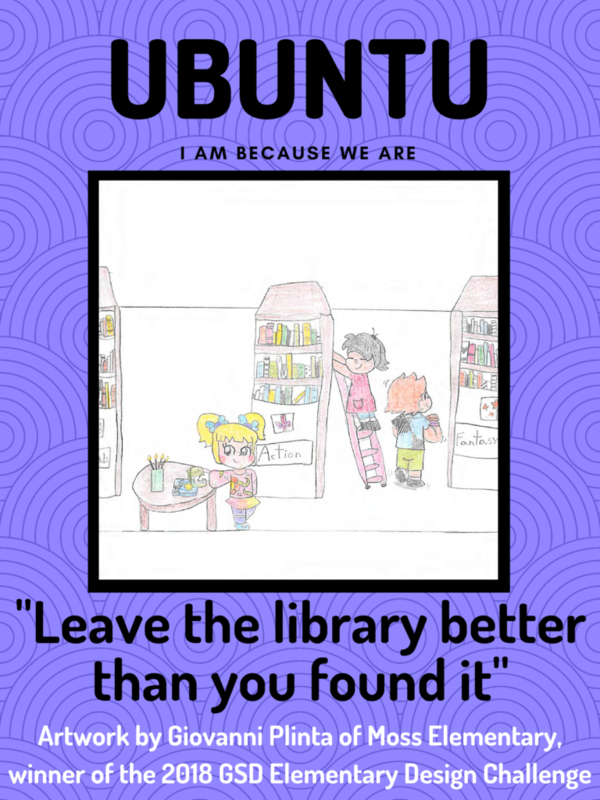 Each of our four winners will get to pick out $250 worth of books for their school library and have their design featured on our Ubuntu poster that will be hung up in all 63 of our elementary school libraries. 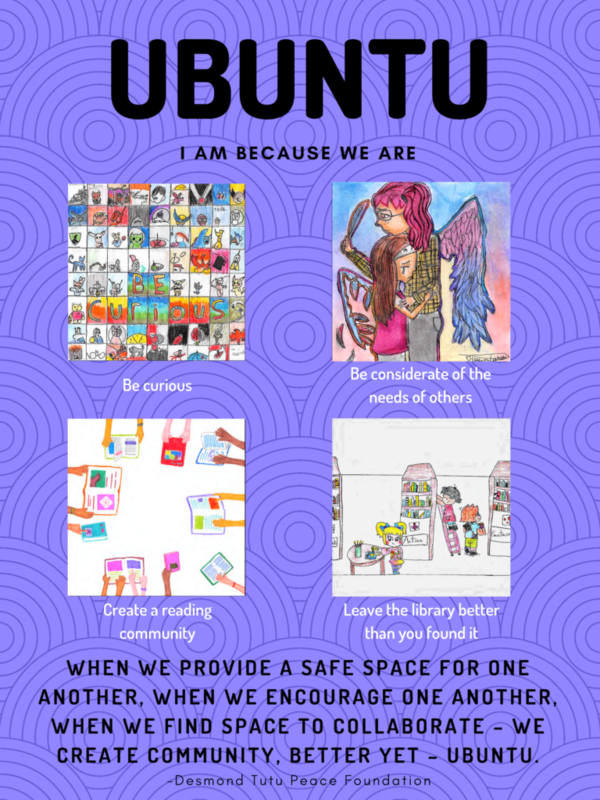 Click on the images above to download high quality, printable versions of the poster images. 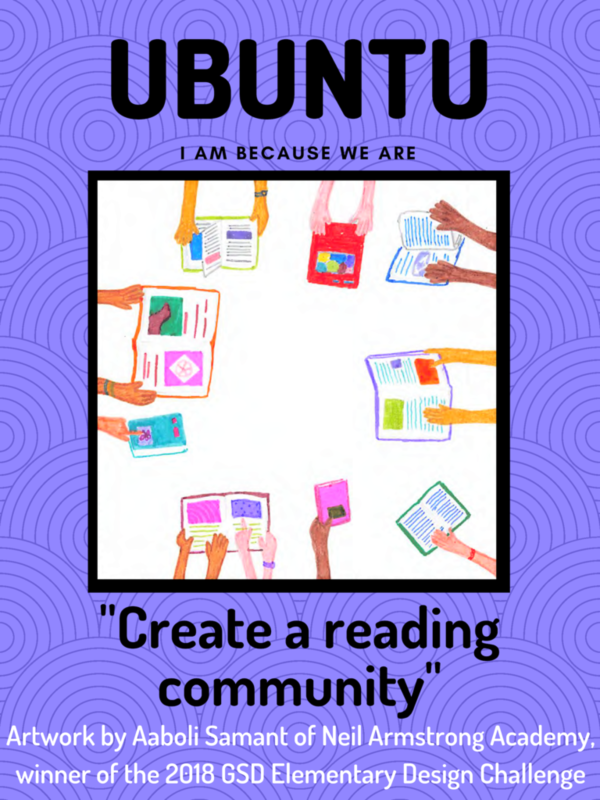 For lesson plans and more information on the 2018-2019 Elementary Library Theme, visit these past blog posts. Congratulations to the artists! 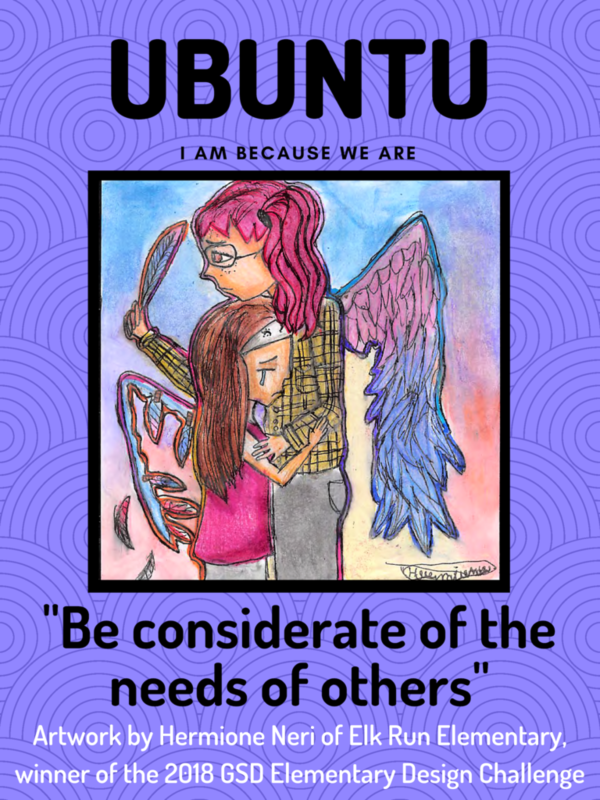 Beautiful artwork illustrating Ubuntu! These are amazing! Great job artists! Great job! Congratulations to the winners. Nice Job! Congratulations to all the winners. 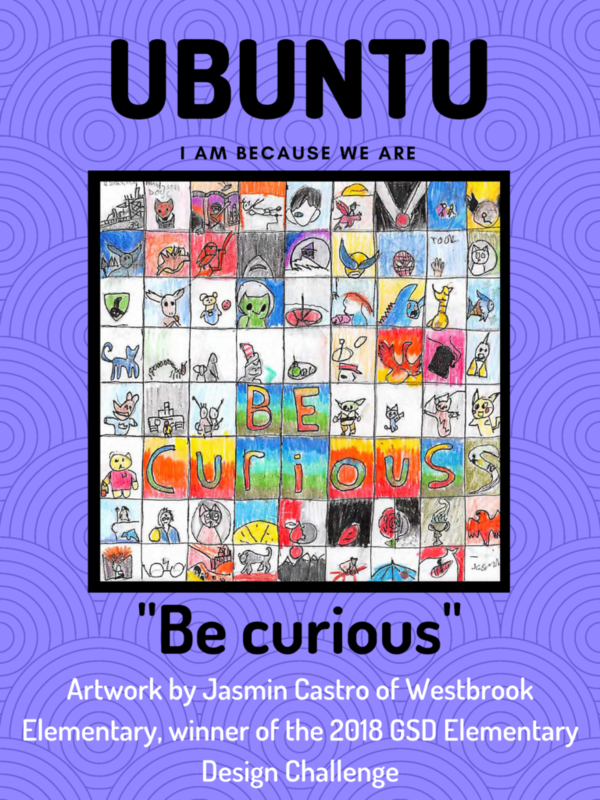 These are are fabulous and we appreciate Jasmin’s hard work on behalf of our school.